Margaux is also the name of the appellations most famous chateaux, the first growth, Chateau Margaux. Thanks to its name (used often in this spelling for the names of wine lover’s baby girls), it is one of the most recognizable names in Bordeaux. 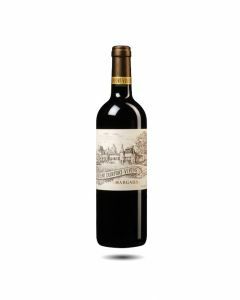 Margaux wines are rich and structured with notes of plums, violets and berries in the nose. These rather forward aromas belie a stern structure and solid tannins on the palate leading to the sobriquet “the iron fist in the velvet glove”. Called rather poetically, Marojallia by the Roman consul, Ausonius, Margaux came into its own in the 18th century when the land was drained and the deep pebbles and gravel beds were revealed. One of its most famous visitors was Thomas Jefferson, the American ambassador who was to become President of the United States, at the end of the century. Being the southernmost commune of the Médoc, it is also the warmest and harvesting starts usually at least a week before the northern communes. Like all of the Médoc, the chief grape variety is Cabernet Sauvignon with small amounts of Cabernet Franc, Petit Verdot and Merlot. There are more than 1300 hectares of vineyard in Margaux, making it the second largest commune in Médoc after St. Estèphe. There are around 80 different chateaux producing around 600,000 cases of wine. A highly successful wine considering the vintage, du Tertre gets better and better every year. The nose is fairly rich with notes of cassis, liquorice and coffee. A touch of sweetness at the start with pure fruit flavours on the palate. Showing good concentration for this vintage and a long finish. A lovely wine with lots of class and purity. Good lush flavours of boysenberry and blackcurants on the attack; very fresh and silky with lovely weight and balance. An extremely pretty, rather feminine wine. 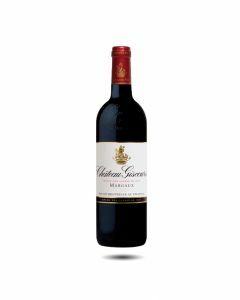 A lovely, fruity Cabernet based wine which is improving every year to become a great favourite amongst the wines of the Médoc. Immediately appealing in the nose with notes of blackcurrant and red cherries; fresh and bright on the palate with good acidity; firm but ripe tannins and a touch of quality oak; good, elegant, balanced finish. Some frost damage resulted in less crop, so the blend this year is 75% Cabernet Sauvignon, 10% Merlot, 10% Cabernet Franc and 5% Petit Verdot. The estate is fully organic with 50% of the vineyards being farmed bio-dynamically. The wine has a good deep purple colour, sweet fruit on the nose, a sweet, attractive juicy fruit attack and nice spicy freshness on the palate. This is well-made and balanced with some interesting spicy elements in the finish. From the same stable as Giscours, du Tertre has made a name for itself for consistently good quality and value. This is the highest amount of Cabernet used in the blend at 75% with Merlot, Cabernet Franc and Petit Verdot making up the rest. Quite classic and stern on the nose, the wine opens up to reveal black and red fruits, a mineral undertone, precise tannins and a crispy, pure finish to end the wine on a clear note. One of the best vintages made here. Good bright fresh colour, fragrant and expressive on the nose with notes of cassis, fresh herbs and a touch of licorice. Quite light bodied but with attractive sweetness on the attack, then fresh fruit mingles well with the oak and the tannin to produce a balanced, harmonius wine with good persistance and character. Quite classic Margaux. Frost affected about 35-40% of the vineyard and the blend this year is 71% Cabernet Sauvignon, 24% Merlot, 5% Petit Verdot . Deep ruby colour, inviting nose of blackcurrant and blackberries with a pretty, fresh lift. On the attack , the wine is sweet and composed, quite well-mannered, with fine tannic structure and a good fruit and tannin peristance on the finish. Quite classic Margaux.